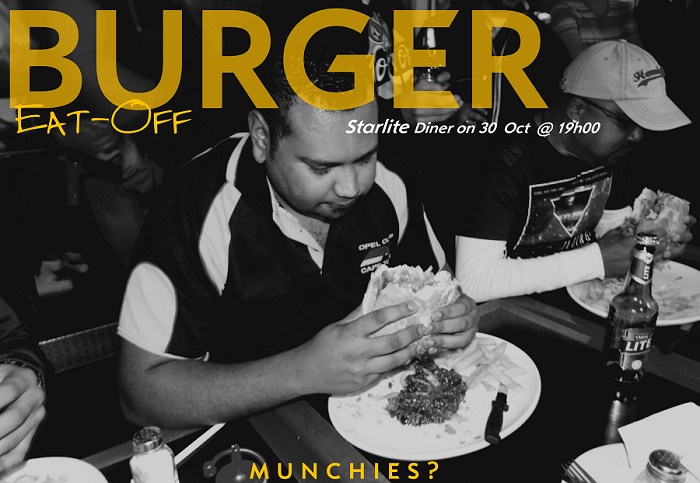 Wanna win the coveted title of yankee burger champ 2018 PLUS a nice voucher worth (in excess of) R1k? If you don't where Starlite Diner is, why are you even apart of this club? Last edited by Corsa Addict on 27 Nov 2018, 08:42, edited 2 times in total. I believe that burger is now ~R120 on the menu. Would like to attend, going to try my best to make it!